Admire your commitment. I am a Rotarian and have gathered a team to clean up the beach in my city.. for a start… Will share details as we progress! Reading about your work with interest and dismay! Saddened by extent of the plastic problem. Have been giving up plastic as much as I can since the start of this year – a struggle! But determined. Involved in local beach clean (60 miles away) & always picking up plastic litter when out walking my dog. Never ending battle. I am also concerned about the level of plastic in our environment, and how this is impacting on the wild and marine life. I take my dogs’ for a walk on a beach near me and always come home with plastic to put onto the recycle. I hope that the movement for change is beginning to happen. With small lifestyle changes, we can all make a big difference. Today we visited Barents Island, an uninhabited island in the high Arctic, on the east side of Spitsbergen. Its beach looks pristine. But get up close and you’ll find thousands of tiny pieces of plastic: broken domestic items, plastic bags, marine rope, packing cables and countless single-use plastic items that have no business being here. Barents Island is for polar bears, not plastic. Barents Island is not on the main current stream, so the fact that plastic ends up here at all proves how saturated our oceans are becoming. Sadly, the plastic that lands up on beaches is a proverbial drop in the ocean compared to what’s actually in our seas. 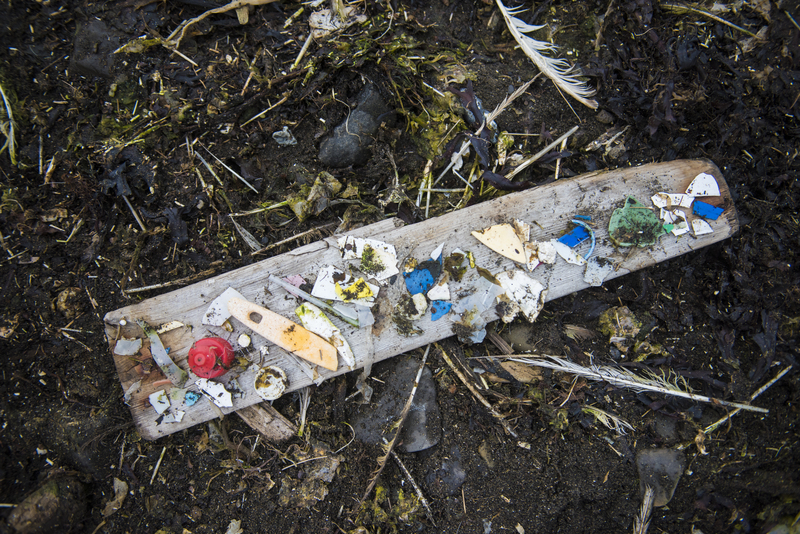 And there’s an estimated 14 million tons of new plastic entering our oceans each year. 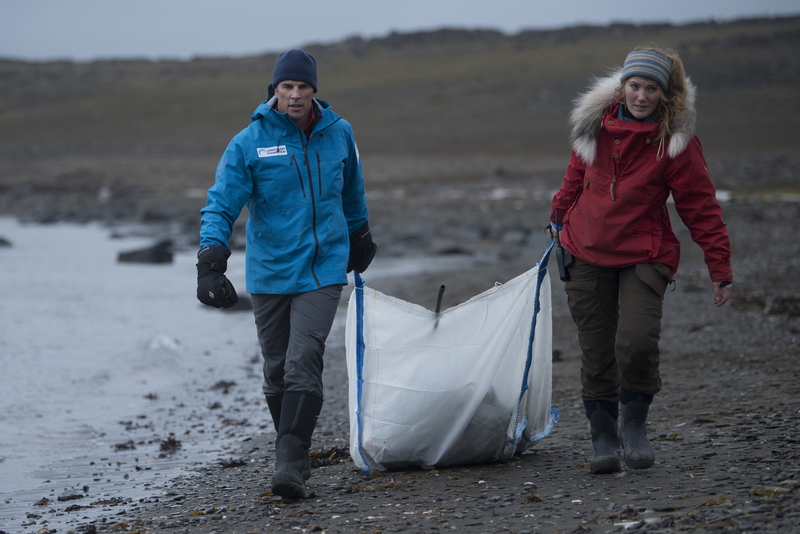 I joined Hurtigruten’s Expedition biologist Helga Bärdsdatter Kristiansen on one of the regular beach clean-ups they do whenever their ship does a shore landing. We took away a huge sack of plastic, which we collected in under an hour. Among the marine and domestic items we collected scores of packing cables, which maim and strangle so many marine mammals. Helga pointed out some small plastic pieces that fulmars and other sea birds mistake for food. She told us that Arctic researchers recently found an ailing fulmar with 20g of plastic in its stomach – that’s the equivalent of a 2kg plastic meal for a human. The percentage of Arctic birds flying around with agonising amounts of plastic in their stomachs is truly frightening. What are we doing? Beach clean-ups are a great start, but we need to address the issue at source and stop the demand and production of single-use plastics. And we need to make sure that the plastic we do use gets properly recycled. Plastic was first mass-produced in the 1950s. It was the ultimate convenience material, perfect for the new disposable age. So why was it made so durable? Plastic takes hundreds of years to degrade. If we don’t remove the plastic in our oceans, some of them will remain for hundreds of years, washed by the tides, drifting on the currents, getting smaller and smaller, entering our food chain and, eventually, us. 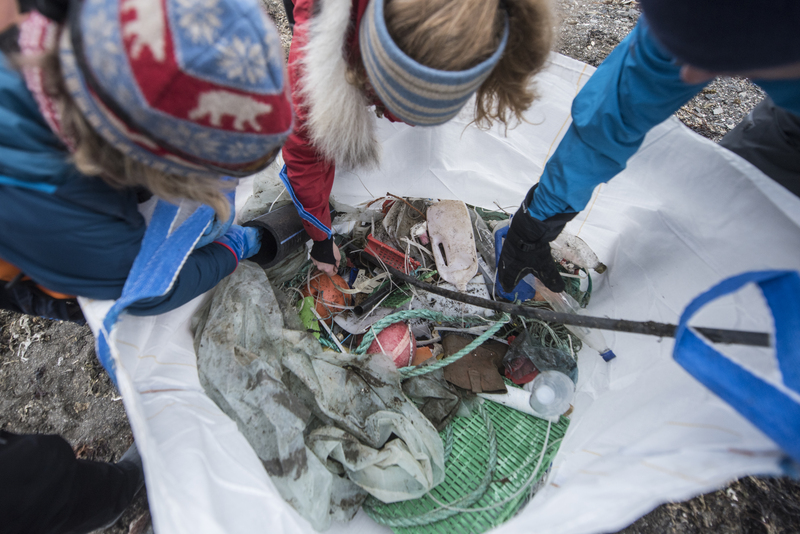 Our Barents Island beach clean-up brought home the sad truth is that there is no longer any place on this planet to hide from plastic.